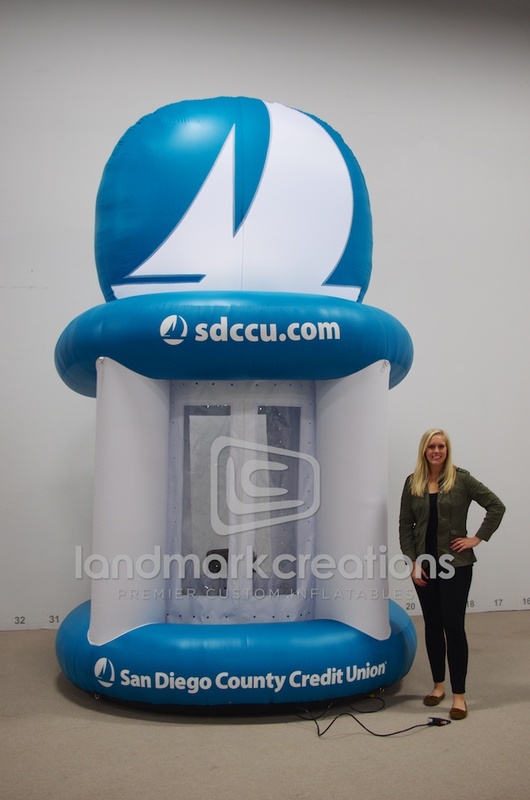 San Diego County Credit Union flips a switch and turns up the fun with this inflatable cash booth at special events. Grand openings and community events just got a lot more fun! Pack DIMs: 26" x 25" x 24"
"Thank you so much for getting the arch to us in time for our event! The arch looked great and we couldn't of been happier with the look. 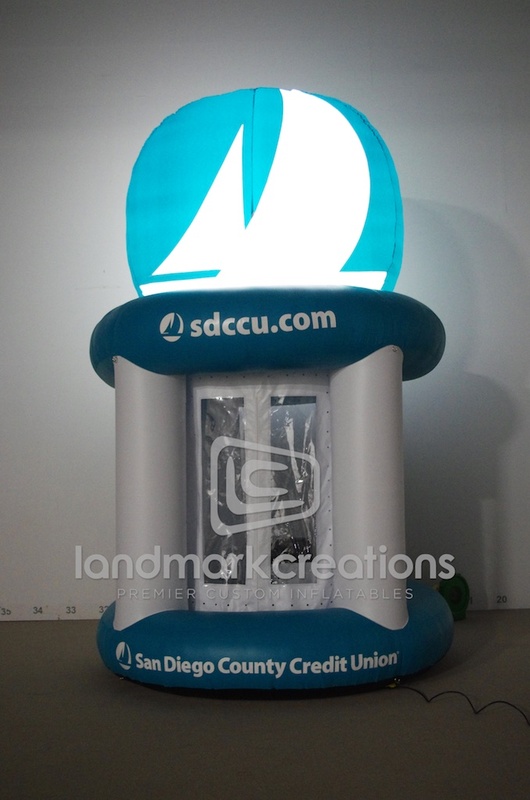 Looking forward to ordering another arch from you for our 2013 events!" 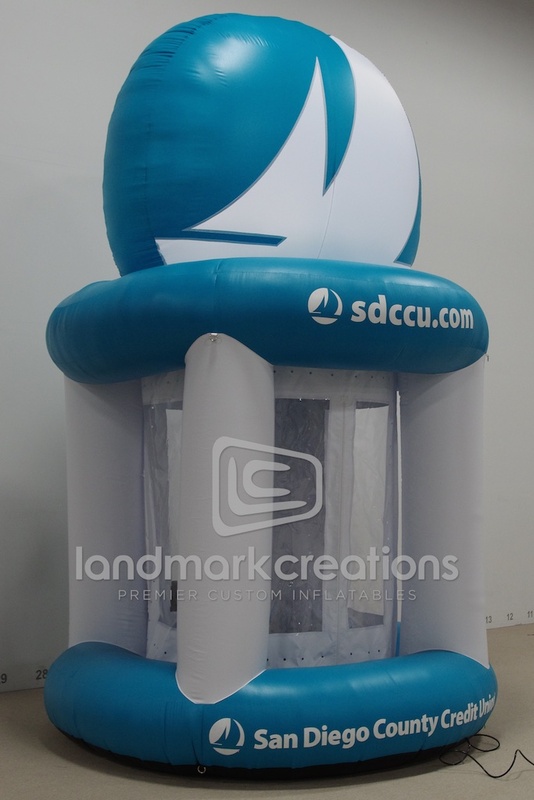 Copyright © 2013 Landmark Creations - Manufacturer of Custom Inflatables.